Wedding decorations mark the ceremony of a holy communion of two souls for eternity. 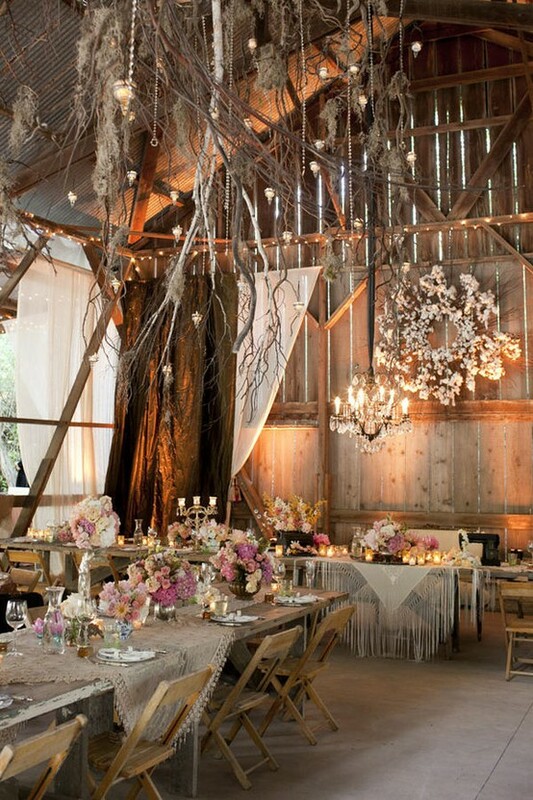 Rustic wedding decorations could serve to be witnesses to attest a soulful matrimony. 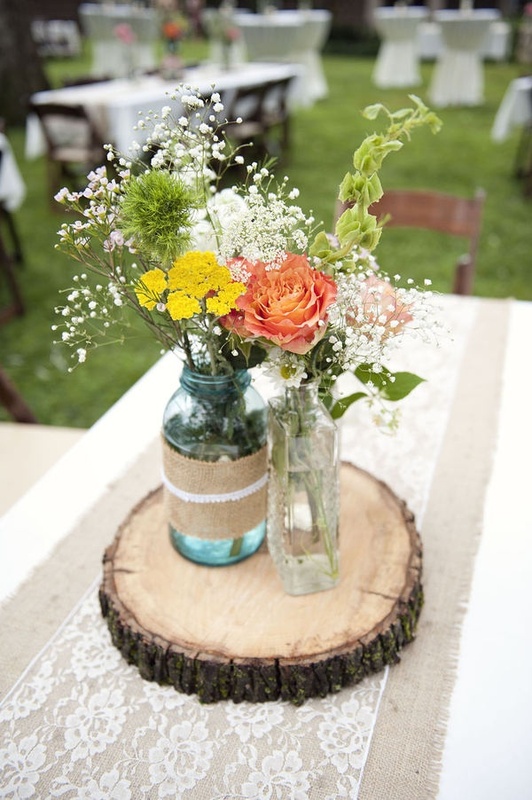 Riffle through the material to set foot at the altar ... the rustic way! Aah! What a sublime thought! You and your partner have vowed to devote a lifetime to submerge in the true depths of each other. You have made up your mind to wake up every morning just to behold the sight of your beloved. You cannot think of coming back home to anybody else, other than your partner ... And you are capable of filing a lawsuit against Almighty, if he thinks of tying you up with anybody else except ... you know the answer ... your partner. (No brownie points for knowing it though!) On an honest and sincere note, marriage is a communion of two souls, where, one soul holds the reigns of a relationship and the other, commands the sanctification of true love. Two souls are intertwined to make one heart. Wedding is an occasion where wooing is in the air, where the birds tweet too-wee tao-woo in the most melodious monotone, where the waft of gentle breeze romances your hair and caresses your skin and croons your coy gestures. . . . Aah! A time in one's life where a subliminal yet magical aura abounds you, and transcends you with utter elation. When feelings et al. are grandiose, why shouldn't the decorations complement the sentiments . . . with a twist; let's get better . . . with a rustic twist! If you have been thinking about how to make that D-day, all the more meaningful and magical, then here is some useful resource coming your way! We are here to deliver some rustic wedding ideas that will blow off your guests, (pun not intended) and make them exclaim innumerable 'wows'! You may choose to have your wedding in a pergola or a gazebo with wedding bells ringing, surrounded by eloquent relatives and guests. With such pompous declarations of love and togetherness, we often let the ethereal earthiness take a backseat. Yes, I am talking rustic. Rustic weddings can add a flavor of the countryside, where the atmosphere is dewy, the air misty, and the belongings, too hamlet in appearance and demeanor. In a nutshell, it carries a village-y feel that, perhaps, proceedings in a pergola may lack. Here is what you must look into, when you are set and ready to go rustic. 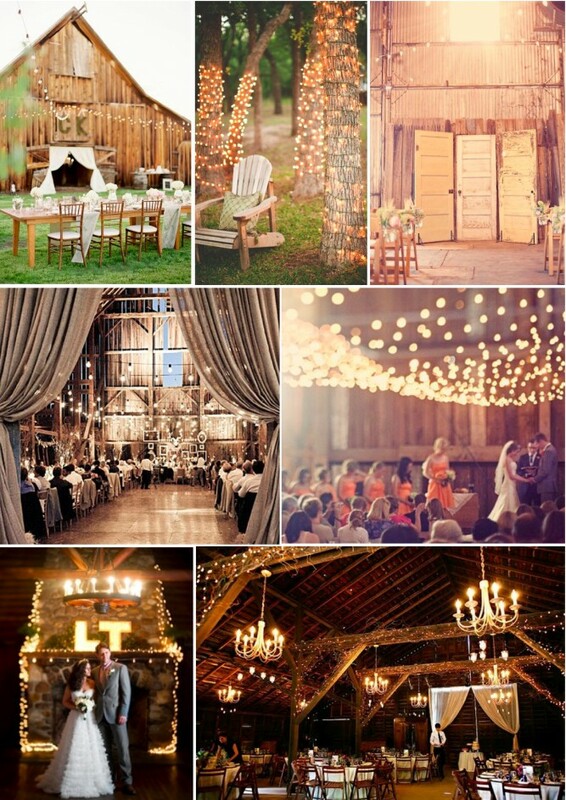 The theme is rustic agreed! What about the sub theme then? Hmm ... let me explain what I mean by a sub-theme. A sub-theme is the actual concept on which your decorations are to be based. 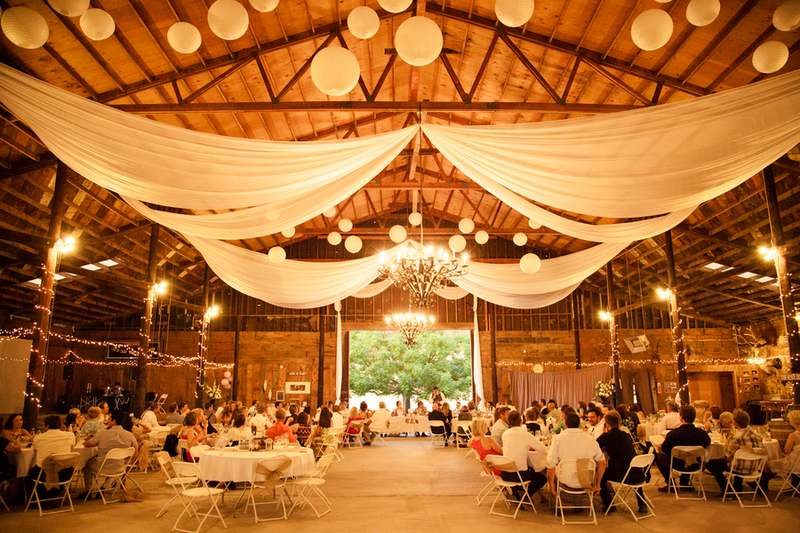 So ... do you want a barn-y feel with some stock around; or do you want an antique look to adorn your wedding? Is it the village concept with huts and hay that allures you? The choice is yours, you see! You may not have chairs that look lush and plush from all angles; however, I also do not mean that you have to put in defective chairs for your guests to endure a nasty fall. (You may blame it on gravity though!) Well, to be serious, you need to arrange for cane chairs, or chairs and tables that look archaic. They could be wood sticks assembled chairs fastened with cane straws. Make sure they are durable, and can hold the heaviest of guests! Don't trail around with scarves to embellish your chairs. 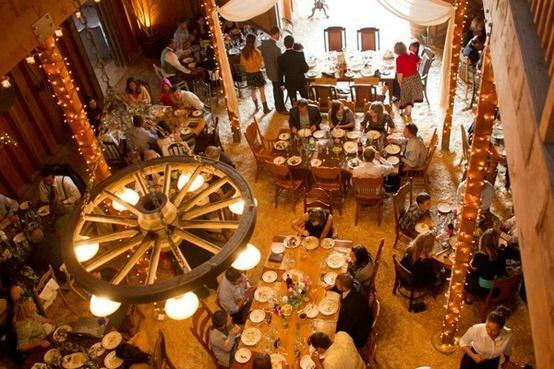 You may like to segregate the family tables and chairs from the rest of the guests' tables. You may tie tags on the back rest of the chairs, and have placards laid on the tables with hay straws spelling bride and groom's family! The wedding cake must look tempting and delicious, yet must carry the earthy feel. You may have the cake brought on a clay tray with little candles lit on it. Dark chocolate pieces sprinkled with little toy animals embellished along the periphery of the cake, would charm the guests. You may also go in for a three-tier wedding cake, but don't forget the theme! It is rustic and ruffled, and not too polished delivering oodles of penchant! Again, we have to concentrate on the flowing drapes; they shouldn't be too loud with their color scheme. They should be lively, not loud; get what I am saying. Take a look around, look at the barn-y feel that you have created with a stack of hay, a few tractors, little hooks for embellishments, and a few horse shoes. A melange of all these colors and hues, would be the perfect factor to decide on the color scheme. Well, as mentioned earlier, you can manage to have carts, bundles of hay stacked at various corners, and you may also arrange for some vintage cars. Have your reception at a few meters away from the venue, where you may have a sign board saying Stop for Wedding Toll or Lovers Lane, and the 'toll' could be a ride for every guest with their family in the vintage car, from the reception board to the main venue. You may also consider having carts to carry them to the venue. The condition - the guests have to be intimated well before time, about the 'treatment' they are to be meted with! They must dress appropriately for the wedding so that they don't land up in a mess as soon as they arrive! 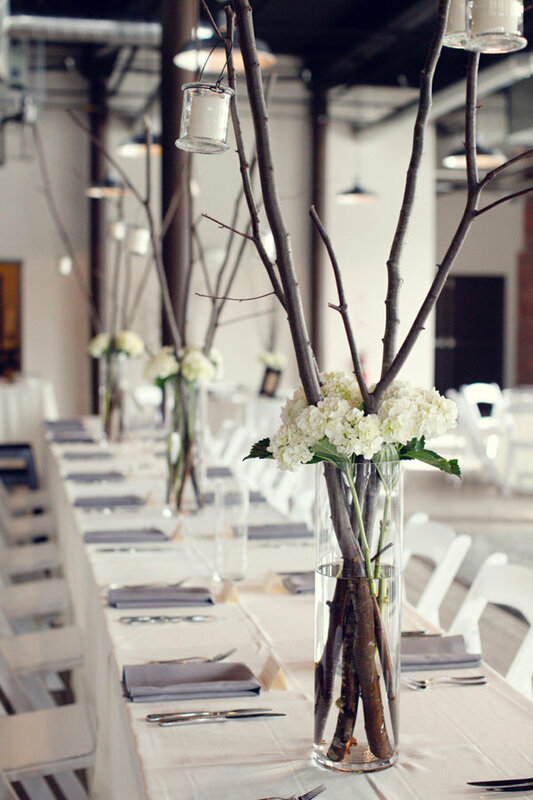 The centerpieces have to deliver charm and simplicity. You can collect jars and archaic vases, or you may use a tree bark as a tray that holds three to four candles in varying length shining bright. You could even have a candle stand with you and your partner's initials etched on it; looks classy! You could have jars that could be wound up partially, with a thin rope and embellish it with flowers; such as orchids, white tulips, or dahlias, and some filler flowers. Another centerpiece worth a mention is to show how much you care for the depleting environment. You may place a small pot with green grass stuffed within, along with an interesting tag line written on a placard, attached to a stick that juts out - straight or crooked - from the pot. Or go simple by having a table embellished with a tree bark with little hearts made of hay and in it is stuffed dark chocolate enveloped in a wrapper. This could be taken by the guests as a delectable souvenir! Votive candles enveloped in wire mash fabric would also serve to be the perfect match for a wedding centerpiece. The candles could be positioned on a sliced birch. The circumferential birch may be painted in hues of brown, green, or scarlet red. Pin a picture of yourself with your sweetheart, spending some memorable moments together, on the mash fabric. In this way, you may provide a glimpse of your "couple-hood" to your guests. The lighting must have a feel of looking worn out. Make the lighting seem dusky and old. Arrange for lanterns, tie colored transparent sheets around them to deliver effects of grace, and beauty. Make the lighting look graveled, a bit used and, if possible, even earthy. Place candles at the aisle in small bottles and jars. Nothing needs to be synchronized in terms of lighting; you may go as wild as possible with your ideas. Have them do the trick for you, yet again! Play with clay molds. 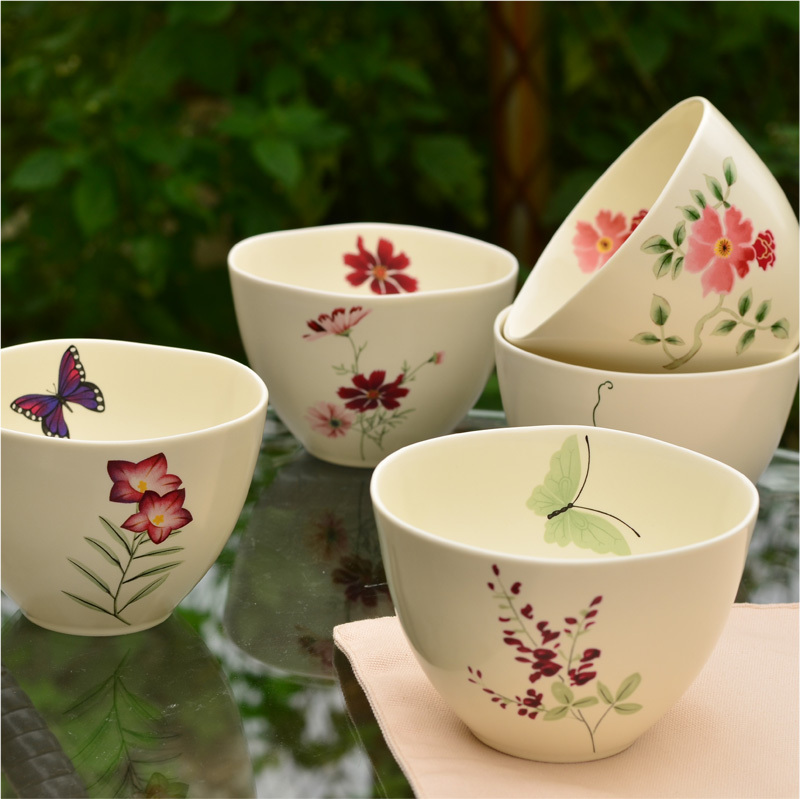 Offer soups or delicacies in clay bowls and plates. Offer them wooden spoons to sip their soup. Embossing dinner plates with initials of the bride and groom adds to the titian dimension of the wedding. You may also have utensils made of bronze or clay-like material that strike a rustic note with the theme. Along with utensils fabricated with clay, you may allot hand towels or napkins in bisque shades. You may choose to roll the napkin and secure it with a napkin band or a little piece of rope to keep the rustic spirit alive. With these decoration ideas, you are sure to dazzle your guests and give them an experience of having attended a wedding that reverted them to a century, and an ambiance they had only imagined to visit! All the very best, and let me know how it went. . . .